Closing the heating vents or radiators in an unoccupied room can save 5-10% on your heating costs. Don’t let heat go up the chimney. Make sure the fireplace flue is closed when not in use. Turn off the pilot light. 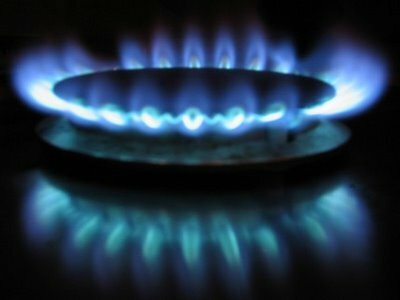 A pilot light typically costs $3-$5 per month to keep lit. If your heating system has a pilot light, turn it off during the summer. A faucet leaking a single drip per second can waste 400 gallons of water a year. Besides being a tremendous environmental waste, if that water is heated it will cost you about $8 if you heat with electricity, $4 if you heat with natural gas – plus the cost of the water itself. According to federal regulations, new shower heads can pass no more than 2.5 gallons per minute. By replacing old shower heads with new ones, a family of four can save around 15,000 gallons of water per year, which amounts to savings of over $150 and $60 for electric and gas heated water respectively. Keep the refrigerator door closed. Shut the fridge! Opening the refrigerator door accounts for $10 – $20 of a typical family’s electrical bill each year based on 40-60 openings per day. Provide adequate circulation for the refrigerator. Allow at least one inch of space on each side of the refrigerator for good circulation. Poor circulation can increase electricity consumption by 10%. A 5°F difference in air temperature can impact your refrigerator electricity consumption by 20%. To reduce your refrigerator’s work, keep spare refrigerators in the coolest part of the house, like the basement. You could be spending well over $100 per year on electricity by always leaving your computer on! Turn it off when it’s not in use. Set your thermostat at 78°F. The breeze from a fan can provide you with the comfort of temperature that is 6°F cooler. Also, during the summer, each degree that you raise the thermostat on your cooling system typically saves 2% on your cooling bill. Energy experts recommend setting your thermostat at 78°F or higher. Keep your light fixtures clean. Dirt can absorb as much as half of the light given off by fixtures, tubes and bulbs. Keep your light fixtures clean and use less electricity. Use light bulbs that produce the most light using the least amount of electricity. Energy-efficient bulbs, such as compact fluorescent bulbs, use 75% less energy than typical incandescent bulbs. Don’t just leave the lights on. Lighting controls provide security lighting when you are not home – with clock timers you can turn lights in your home on and off automatically at preset times. Timers, motion sensors and photo sensors are all ways to save electricity use. Deciduous trees, which lose their leaves in the winter, can help you reduce your energy costs during the summer because their foliage provides shade. And in the winter, after their leaves have fallen, the sun’s warmth passes unobstructed into your home. Strategically placed shrubs and vines can also reduce the effect of the sun’s heat. If you must use air-conditioning, don’t turn the thermostat lower thinking it will cool your home faster. It won’t. Keep appliances that give off heat, like stereos and televisions, away from your thermostat-the hot air will persuade your cooling system to work harder. Adding fiberglass insulation to your attic is one of the most effective and easy savings measures you can take yourself. Also, insulating air ducts or pipes can conserve up to 10% of their heat. Use a fan to draw hot air out of your kitchen when cooking. The savings in your cooling costs far outweigh the electricity use of the fan. Don’t overload your clothes dryer. And make sure you clean the lint filter after every load. An overloaded dryer and a dirty filter, which reduces airflow, make the dryer work harder. Dry loads consecutively to take advantage of heat build-up. If possible, line dry clothes. Cut out pre-rinsing, load dishes according to the dishwasher manufacturer’s instructions, and use only recommended amounts of dish washing detergent. Only run the washer when it’s full – your dishwasher uses the same amount of water regardless of how many dishes are in it. Air-dry dishes when possible.